Niantic is attempting to get its trainers in the holiday spirit with a solstice update that gives players season-appropriate rewards. 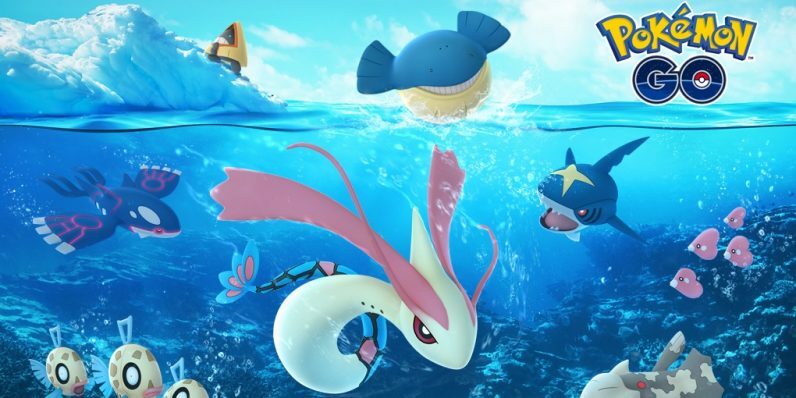 As part of the update, several new water- and ice-type Pokémon will be available, and appearing more frequently. Players can also accrue holiday loot boxes with special items inside. The festivities will run until January 4, 2018. Seasonal sales and updates in games aren’t new, but it’s cute to see Niantic’s ubiquitous ARPG (Augmented Reality Playing Game — is that a term? Because if it’s not, I just made it one) putting a pocket monster spin on it. This update comes hot on the heels of the new AR+ mode for iPhone trainers, which allows Apple users to see Pokémon in fixed points in space. In other words, you’d be able to see what Pokémon would look like in the real world. Clearly Niantic is doing its best to give trainers reasons to venture out into the chilly air as the winter solstice hits. I know if I get the chance to catch Kyogre, I’m going for it, subarctic weather or not.